Loren heads our Client Support and Interface Team. He is responsible for developing new business and maintaining existing relationships with our growing client base. He also helps in the transition from the client’s previous manager or broker to RVW. Prior to joining RVW Wealth, Loren was a broker at Bear Stearns and worked at two highly regarded wealth management firms (SSI Investments and McComsey Asset Management). 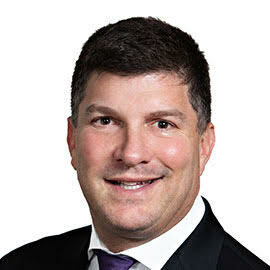 Loren has over 20 years of experience in the investment management business. He and his wife have been married for 22 years, and enjoy spending time with their three children: Ryan, Alex, and Jenna. An avid sports fan, he enjoys attending his boys’ basketball games and his daughter’s gymnastics events. In his own time, he was a top tennis player and still plays in USTA tournaments today. In fact, he plays all racquet sports, including tennis, paddle tennis, and pickle ball.